Whether it is for Christmas holidays, a family vacation or just a trip to see your parents’ (or grandparents’) house for the holidays, safe driving tips include making sure that your car is ready to go and in good shape for the trip. Maybe you are making that trip to that ski resort with your friends? Or perhaps taking the family down south to warmer climate for the holidays. Either way if you are driving it is a good idea to make sure that you have a car that is ready and also safe to drive. Here are a few Tips For Safe Driving. You may have had all the plans done, the reservations, the packing ready and the family is just waiting for that day to arrive. However, have you ever checked if your car is ready to go? If not, then perhaps it would be time to do a thorough check or have your mechanic do it for you. Doing all of these checks will take less than half an hour, or you can arrange for your mechanic to perform all of these checks for you. You can leave on your trip with the confidence of knowing that all systems have been checked on your car and it is ready. Of course there can be break downs while you are traveling, however at least you have done all you can to be sure you will have a safe trip with your car. 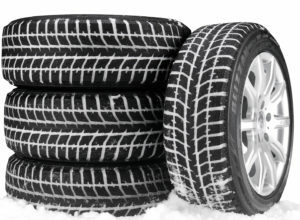 Tires are among the most important element of your cars systems. If the tread on your tires is getting low, you may need to invest in a new set of tires. Also take into account were you are driving. Snow conditions really require snow tires, while even heavy rain situations require tread that will move the water away from the tire and avoid the tires skimming along on the road and losing traction all together. None of these things are really that expensive unless you have been neglecting your car. Tires can run $500 to $600 and if you need a full set of brakes, you may need to spend a lot more. Better to be safe than sorry! Leave a comment and add your tips for safe holiday driving.